From 26 May to 26 July 2017, the draft Hung Shui Kiu and Ha Tsuen Outline Zoning Plan (OZP) was exhibited for public inspection for two months under Section 5 of the Town Planning Ordinance (TPO). On 25 August 2017, the representations received were published for public comments. The hearing of the representations and comments of the OZP was held on 30 January, 1 and 7 February 2018. On 25 May 2018, after giving consideration to the representations and comments, the Town Planning Board decided not to propose any amendment to the draft OZPs to meet the representations under section 6(B)8 of the TPO. 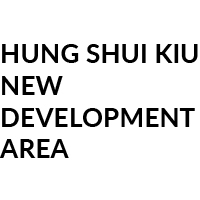 On 26 October 2018, the approved Hung Shui Kiu and Ha Tsuen Outline Zoning Plan No. S/HSK/2 was exhibited for public inspection under Section 9(5) of the Town Planning Ordinance.